God said, “Because Abraham obeyed my voice and kept my charge, my commandments, my statutes, and my laws” (Genesis 26:5). kept the laws of the Lord. Isaac was blessed because of another. 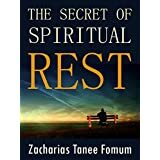 The secret of Isaac’s success and his life of rest was that he did not seek greatness for himself. He knew death to a life of self to a very-far reaching degree. He was content to be blessed because of the obedience of his father. He did not have much to show for his own ability, and so he rested on the provisions and the doings of the Lord. He was not anxious to do any great thing for himself, and he was not anxious to make a name. He knew that he could not. He also knew that the God who is able was with him to do all that needed to be done and so, instead of struggling and by struggling standing in the way of the Lord, he surrendered fully to the Lord and let the Lord do it. Lord, do it, even though I may not be associated with it before man in any way. After you have prayed this way, withdraw and invest yourself in more prayer that it should happen. The self-life is a restless life! Has it ever occurred to you that had Isaac insisted on being blessed on the grounds of his own obedience, he would not have been blessed at all? Have you also found out that the only way to make progress in the ministry is to forget that self-initiated thing called your ministry and to give yourself as the helper of another person and, consequently, be blessed because of him? Might today not be the day when you should pack up that self-created project and offer yourself as a helper to another? If that is so, act. This could be God’s personal word to you!